New vehicle pricing includes all offers and incentives. Tax, Title and Tags not included in vehicle prices shown and must be paid by the purchaser. While great effort is made to ensure the accuracy of the information on this site, errors do occur so please verify information with a customer service rep. This is easily done by calling us at (817) 918-9200 or by visiting us at the dealership. Serviced here, Non-Smoker vehicle, Extra Clean, LOW MILES - 64,076! FUEL EFFICIENT 35 MPG Hwy/25 MPG City! Attitude Black Metallic exterior and Black interior, SE trim. Bluetooth, CD Player, Alloy Wheels, iPod/MP3 Input, Serviced here, Non-Smoker vehicle. Edmunds.com's review says The interior of the 2014 Camry feels roomy and its thin front pillars provide good outward visibility. The spacious rear seat is complemented by a nicely reclined seatback angle that helps the Camry match the Honda Accord for the most comfortable backseat in the class..
Pricing analysis performed on 4/21/2019. Fuel economy calculations based on original manufacturer data for trim engine configuration. 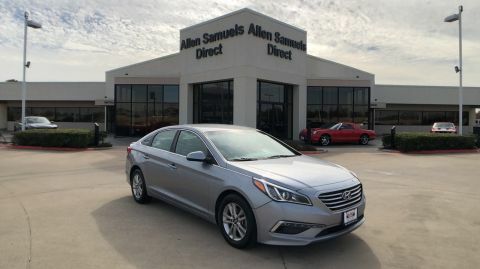 As a premier Texas dealer, we have a huge selection of used and certified vehicles from which to choose. Allen Samuels Direct online and offline customers enjoy special vehicle offers every day. 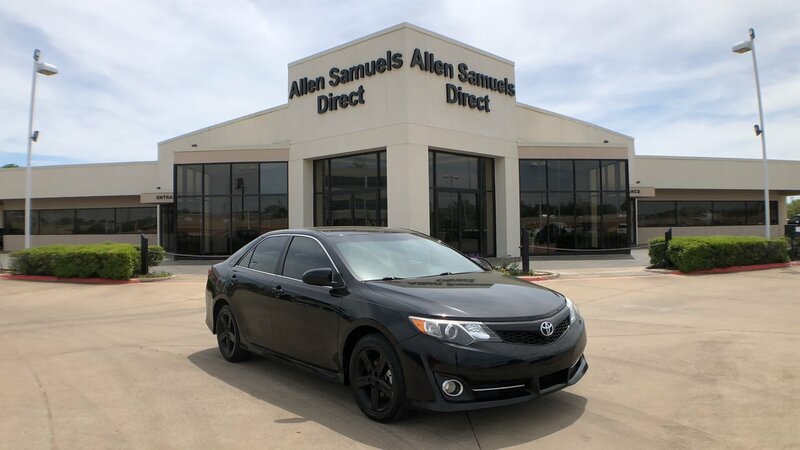 We offer service & parts, an online inventory, and outstanding financing options, making Allen Samuels Direct the preferred dealer for Euless, Dallas, Grapevine, Arlington, Farmers Branch, Grand Prairie, Irving, Mansfield, North Richland Hills, Ft. Worth, Plano, Keller, Richardson, Carrollton, Haltom City, Garland, Burleson, Coppell, Flower Mound and Colleyville buyers. Ready to schedule a test drive? Visit our Dallas dealership in Euless, TX today! Allen Samuels Direct	32.8365051, -97.1091064.